Wondering what to do with those leftover mashed potatoes? Here is a sure fire recipe to please even the most finicky eater. • Preheat oven to 350°F. and generously grease a 12 cup muffin pan. • Mix one cup of the grated cheese with all the other ingredients. 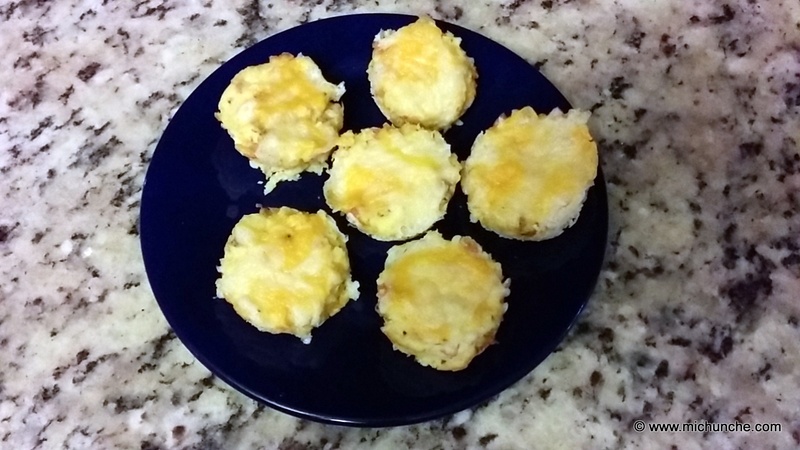 • Divide the mixture evenly between the muffin cups, and pack the potatoes down with a spoon. • Bake the muffins for 35 minutes until the potatoes start to crisp around the edges. • Take the muffins out of the oven and top them with the remaining cheese. • Return the muffins to the oven for an additional 5 minutes to melt the cheese. • Remove the muffins from the oven and allow them to cool for a few minutes to make them easier to transfer to a serving dish.